I am so pleased to have as my guest today for Writer Chat Wednesday Janine Caldwell, a fellow Arizonan and debut YA author. Janine just released her first two novels and I'm glad she was able to stop by so you have a chance to get to know this dynamic woman. Janine Caldwell (JC): I just released my debut YA fantasy series called The Vortex Series. The e-versions are available everywhere and the print versions will be available soon through Amazon. NW: That is exciting news! What books have you written so far? JC: Rematch and Double Fault are the first two books of The Vortex Series. NW: What was the inspiration for The Vortex Series? JC: A few years ago I was leading a Bible study in my house for a group of eighth grade girls when they introduced me to The Twilight Series. Not only did I fall in love with the books, my girls also informed me that Stephenie Myers lived in the next town over from us. Now, as an English major I’ve always loved literature and have even dabbled in screenwriting, but I had never tried to write a novel. Something about knowing an author such as Stephenie was creating these stories miles from my house inspired me to write again. I’m a sucker for all things fantasy and romance, so I dreamed up a story that I myself would want to read. Living about an hour from Sedona, naturally I was drawn to the mysterious nature of the Sedona vortexes and what hidden power they might have. Combine all that with learning that I’m a direct descendant of The Brothers Grimm, I felt my true calling was to write YA fantasy. NW: What is one of your favorite scenes from one of your books and why? JC: In REMATCH, it has to be the last scene of the book when Trent’s heart is truly revealed to Cassie. We learn that even the best of intentions can still cause life to go terribly wrong if it’s not the destiny you are to follow. JC: I’ve completed about a third of a new novel entitled VISITED and am outlining DEUCE, the final book of The Vortex Series. JC: I would have to say that in high school, I was most like Kelli, Cassie’s best friend. She’s sort of tough and mistrustful of high school boys and is very selective about who she gives her heart away to. JC: The Hunger Games--doesn’t everyone? JC: Jane Austen’s “Pride and Prejudice” with Keira Knightley and every single Harry Potter movie. I could never get tired of either story. JC: I’m hopelessly addicted to alternative rock and have been an avid fan of the Foo Fighters since Dave Grohl started the band. I wish I could’ve quoted every line from “Times Like These” in REMATCH because the song depicts Trent’s agony and crossroads in life perfectly. In fact, “Times Like These” would’ve been a great alternative title to REMATCH since there is an element of time traveling in the series. JC: I hope that they will be entertained first and foremost, but for my teen readers, I also hope Cassie and Trent’s story will make them pause before they make any major decisions in their lives that will influence their future forever. Writer Chat Wednesday: Alisa Jeruconoka - London Calling! My Writer Chat today is with Alisa Jeruconoka from London, England. 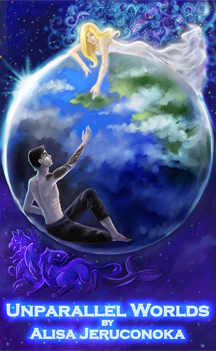 Alisa is a YA fantasy writer and author of Unparallel Worlds . I had a chance to chat with Alisa recently and I was so intrigued by her description of her story and inspiration, I had to buy the book to read it for myself! Alisa Jeruconoka: First of all I want to thank Natalie for this fantastic opportunity to spread the word about my YA fantasy fiction novel ‘Unparallel Worlds’. The future of the whole planet depends on the delicate balance of Light and Darkness. 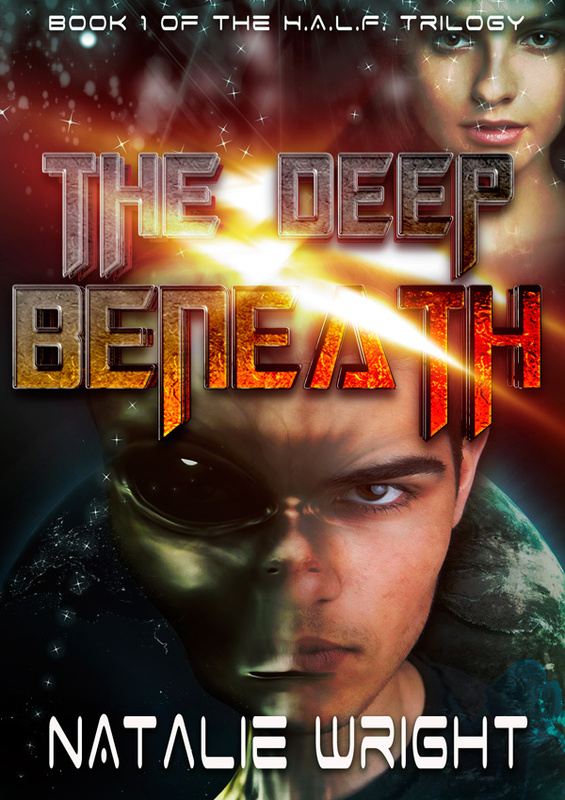 Love and Hatred, Friendship and Betrayal are the keys to open and reveal the ancient secrets. Natalie Wright: Do you have any news to share about your work? Alisa Jeruconoka: Having only recently put the book on Amazon I’ve had 5 reviews already and there all great! It made me really happy that people are enjoying my book and for me this was the first step and although sales are important knowing that I have managed to write a story that people enjoy is priceless! The other bit of news is that I had a very talented video maker email me after visiting my site, he said he was really impressed that at a time when everyone else is writing about vampires and werewolves in the YA market (and I’m not saying that these aren’t good reads) it’s refreshing that someone is trying to introduce the almost lost genre of otherworldly fantasy fiction to this audience. He said that this was vital to give them the opportunity to expand their minds with such a richly imagined story (I gathered that he was a fantasy fiction fanatic). He liked the whole idea of the story so much that he went on to create a really cool video for me which is now on Youtube and my website www.unparallelworlds.co.uk. NW: I love this trailer for your book so much, I had to include it here for people to see. 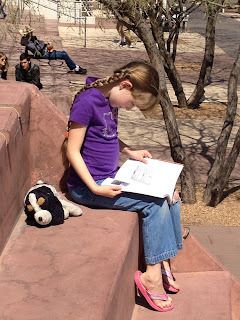 AJ: I have always enjoyed writing and from a young age I found I really enjoyed writing fantasy fiction. I could never wait to get home from school to read the latest story to my mum (who’s still my biggest fan) and we would have a real laugh acting out the characters. This love of writing stayed with my throughout college and university where I had many of my works chosen over others to be performed by the drama students in annual productions. Like everyone else though when I left University I went straight into full-time work as a translator/interpreter and because I was dealing with international clients from very early in the mornings to late in the evenings my favourite hobby of writing fantasy fiction was put on hold for several years. Then one day I visited a bookstore with my fourteen years old niece to choose a book and found that there was a lack of genres for her age group to read (strangely the same view the video maker I mention above shared). This happened about the same time I had changed jobs to one which was not so demanding, so all of a sudden I had spare time on my hands. It was then that I decided I would use this time to write a book for her age group that was completely different to anything else out there. The result is Unparallel Worlds. Whilst writing London the city I live in also inspired me. I visited my favourite places in London to get inspiration. Top of my list were Hampstead Heath where I got most of the ideas about the forests I write about in my book, The Natural History Museum and it’s exhibits played a part when I needed ideas about either the colourful fantasy creatures or the odd and weird dark creatures that exist on the planet Adriana in my book. The Natural History Museum building was also a source of inspiration with all the carvings on its walls. This along with the beautiful monuments and mausoleums in Highgate Cemetery gave me inspiration to describe the two great palaces in my story. If anyone reading this has not been to any of the above places then please make sure you do if you visit London I highly recommend them. I also got inspiration whilst writing the book from listening to different types of music when writing about characters. The main types of music though were classical and gothic. I would use the melodies of each to create images and characteristics in my head for the wonderful, weird and odd characters in the book. AJ: My favourite scene in the book is when Aurelia the princess of Light, a main character in the book, makes her way to the deepest and darkest part of the vast palace library that has thousands of halls and rooms, a part not many visit. She goes there to read the most ancient books and also to find an ancient spider, a guardian of this part of the library that can give her the answers about an ancient prophecy, which forms the basis of my story. Tad Williams ‘The War of Flowers’ – This because it’s about someone who becomes part of a fairy world in the end. Martin Millar ‘Lonely Werewolf Girl'- This because it would always remind me of London I love with a bit of urban fantasy. AJ: In the day I do freelance translations for large multi-national corporations. This is not as demanding as my previous job so it gives me enough money to survive but also gives me the time to write - my favourite hobby. AJ: I love creating and developing new characters in my head and then trying to overcome the challenge of describing them exactly as I want on paper. AJ: Umm, I love good music and it depends on my mood what I want to listen. I like Vivaldi’s Four Seasons, ‘Muse’, ‘Cold Play’. AJ: As I am aiming this book at young teens I hope they realize there is more genres that just the vampire and werewolf stories out there. I hope they read my book and really get lost in the fantasy fiction I have written. I hope that after reading my book their minds are expanded and I secretly hope my book inspires the next generation of fantasy fiction authors. 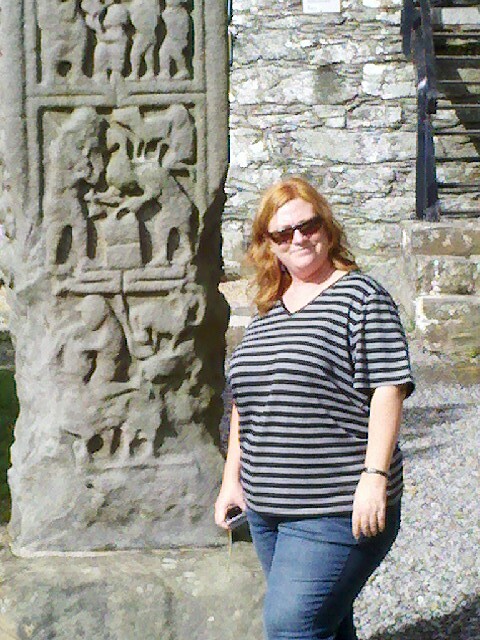 3 Things I LOVE About Ireland & Why Do We Celebrate St. Patrick's Day? It’s curious that all across America, on one day each year, we celebrate a country that very few of us have roots in or have visited. Sure, we have a significant population of Irish immigrants and their descendants in America. But I’m not sure that explains our willingness – en masse – to don the green. I can’t think of any other single country and culture that has such a wide and diverse fan club. Can you? 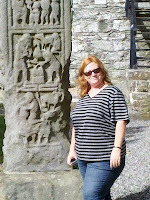 As I ponder why St. Patrick’s Day has become a phenomenon for people who aren’t Irish or Catholic, I think back to my trip to the Emerald Isle in 2010 (for the magical story of how I won that trip, check out this post). Before I went to Ireland, I'd read many books and articles about its history, scenery, and culture as research for my novel Emily’s House. I thought I knew something about the place. But you can’t know a place or its people from photographs and books. I tried my best to capture something of Ireland in Emily’s House, but to be honest, I don’t think my descriptive powers are adequate to describe for the reader the magic that is Ireland. You have to experience it for yourself. 1. Real, Delicious Food. Ireland’s cuisine gets dogged by foodies. It’s true the Irish cuisine is not varied and it’s not very “serious.” But if you enjoy fresh, unpretentious food that tastes like what it is and where it came from, then you’ll love feasting in Ireland. Lets start with cows. I was prepared to see a lot of sheep in Ireland. And to be sure, there are plenty of the woolly creatures roaming the green hills. But there are a hell of a lot of cows. And those lovely, happy cows produce the best butter in the world. Irish butter from County Kerry is so golden yellow - so buttery looking - that I thought it was artificially colored. But the yellowy-orange color is real and comes from all the chlorophyll in the riotous green grass Irish cows eat. I think bread may exist solely to be a place to spread Irish butter. Irish butter is in and of itself reason enough to go back. And lest you think the Irish have cows roaming every square inch of countryside just so we can have delicious butter, some of those bovines end up as the best steak and hamburgers I’ve ever had (vegetarians, you might want to skip this paragraph). I’ve eaten steak in Omaha, Nebraska and Texas. Sorry American west, but you can’t hold a candle to Irish beef. If you love the taste and texture of a good steak like I do, then you can appreciate my statement: Ireland may have the best beef in the world. And it’s not because they get massaged (Kobe style). No, the beef is delicious because the Irish cows spend their life eating delicious grass and living a blissful cow life. If you’ve been to the American west, then you know that much of America’s beef cows live in the arid and semi-arid Southwest, eating a dry diet of dry plants. I have long thought that the cows don’t look all that happy to live in a dry, hot arid climate with dry, hot plants. And now that I’ve eaten Irish beef, I know that I’m right. Happy cows produce happy butter and happy beef. I could write a whole post just on potatoes but I’ll save you that – for now. Suffice it to say the Irish love their potatoes and if you love potatoes, you can have at least one type of potato dish per meal. Did someone say mash on the plate with a side of fries? Yes they did and you gotta love a place that doesn’t see anything wrong with that. Irish potatoes whipped with Kerry butter with a side of Irish steak. Have I made you hungry yet? 2. Green. Yes, I miss green. I live in the desert which has its own kind of spiritual energy and rugged beauty. In my home environment, the plants do have green leaves. But the plants have adapted to the bright sun and intense heat by growing silvery green leaves that reflect sunlight, thus conserving their precious water. In Ireland, water is not scarce and plants aren't into water conservation strategies. Irish plants proudly display their verdant leaves. Every color of green that you can imagine (except maybe for the silvery sage green of the desert) lives abundantly in Ireland. Ireland is so green, it really is beyond description. But the effect is of an oasis and a feeling that life thrives in every corner of the island. I think that our love of green spaces is primordial. There’s something about immersing yourself in a green forest or verdant hills that makes you feel – human. Alive. If you go to Ireland, spend some time driving on the narrow two lanes out of Dublin and into the rolling hills of the Irish countryside. There you will be surrounded by the green hills of legend, criss-crossed with ancient stone walls and dotted with cows – happy, beautiful cows. Ah – the memory of green. 3. The People. If there are friendlier, more hospitable people on the planet, I’d like to know where they are. From the moment we stepped off of the plane to the minute we took off to go home (a sad moment), we had not one single negative experience with the people of Ireland. And in the land that has produced such literary greats as James Joyce, Oscar Wilde, Bram Stoker, William Butler Yeats, Jonathan Swift and Samuel Becket, people are quick with a story, a laugh. Sharing. A country filled with people happy to be Irish and eager to share their home with you. Ireland also has a history filled with harsh conditions, famines and difficulty. But the Irish people are resilient. A country that has throughout its history been beset with plenty of reasons to make her people give up has produced instead the most affable people on the planet. I cannot speak of the people and the land and the food without mentioning a pint – of Guinness of course. You haven’t had a beer until you’ve stepped up to the bar and ordered a pint of Guinness in Ireland. The bartenders there are serious about their beer and it will be expertly poured for you. Go, sit in the pub with your new friends and enjoy the music, the stories and the delicious pint. And perhaps this last reason I love Ireland is the secret to why our entire country is willing to become Irish one day a year. One day when we share a tradition that the world could use more of – to sit together with old friends while you make new ones, sharing a pint, telling a story and laughing together. The Irish know how to create joy from any circumstance. Oh, and a pint of Guinness helps. One of my best Twitter pals, Jenny Devore (@JennyPopNet), wrote a fabulous blog post celebrating St. Patrick's Day and the Emerald Isle titled: Happy St. Patrick's Day, Bram & Arthur, You Magnificent Bastards! With a title like that, you know you have to read it - click the link. "One special note, though not Irish-born, but clearly with the lustrous locks of red ribbons and a visage of peaches and cream, Natalie Wright has the green genes. A desert gal of the American Southwest, she penned a tale amidst the Gila monsters and cacti. It is one of our modern world clashing and melding with that of ancient Ireland, Druidic magik, faeries, raucous and lost teens, glorious descriptives of the Fair Isle and, most excellent of all, the pursuit of a gold bracelet! Emily's House is a must-read this, or any time of year." Jennifer has such an interesting writing style and she is always entertaining. I highly recommend following her blog. I you've read Emily's House, what do you think of Jenny's description? Does it capture the essence of the tale? Happy St. Patrick's Day everyone and tomorrow I'll post my own homage to Ireland. 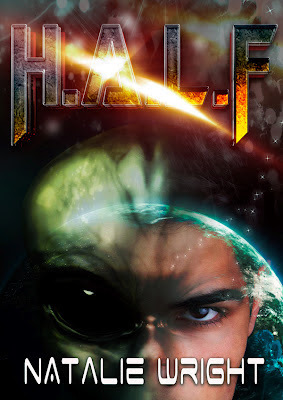 I'm working on revisions to H.A.L.F. now. I'll keep you posted on the release date as soon as I firm it up. 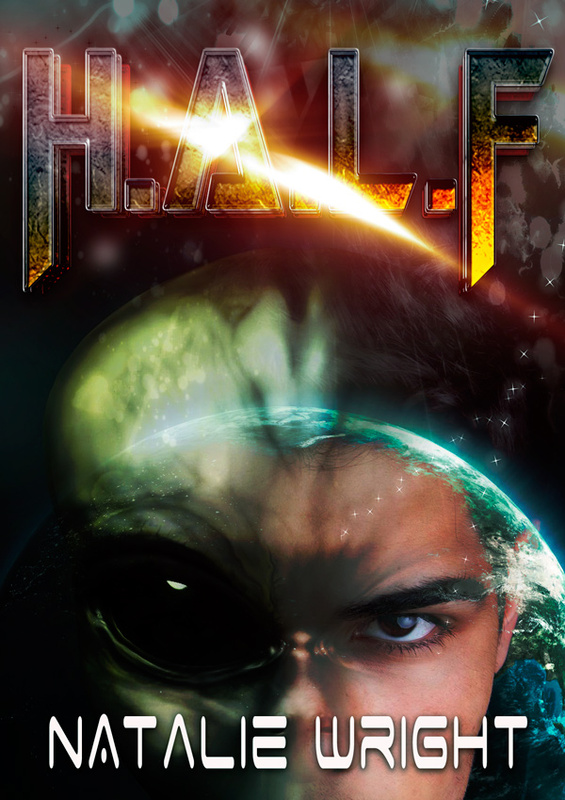 A huge thank you to all of you that gave me input on the last round of cover designs for my newest novel, H.A.L.F. What insight! But we had a tie between two choices. So I went back to the designer and asked for few tweaks and we're down to two concepts. I'd appreciate your help once again and let me know your vote between these two options. Thanks y'all! 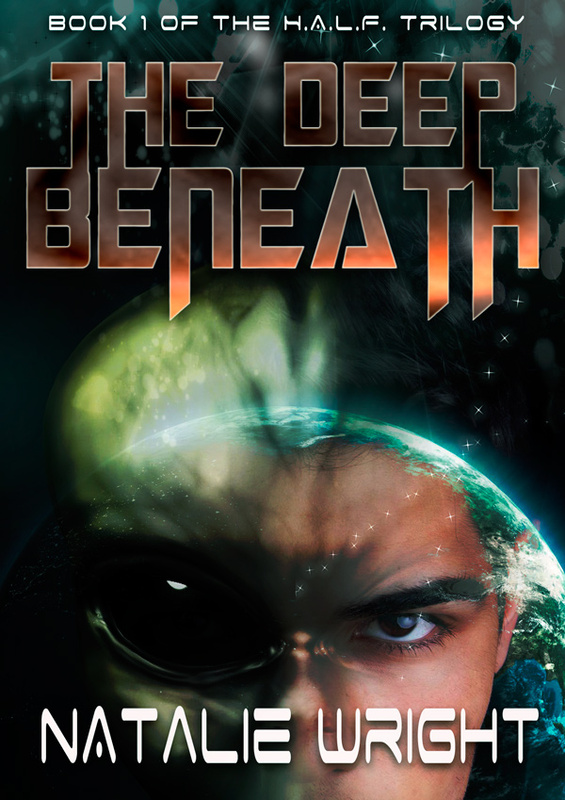 Labels: Book Covers, Cover Reveal, H.A.L.F. Perhaps there is no better way to differentiate our species from all other known species than to say merely that humans seek to understand their place in this vast, strange and wonderful known universe. As far as we know anyway, we are the only ones asking questions like "Were we created or are we a cosmic accident?" and "Why are we here?" and "What came before us? Before our universe was born?" and "What happens to us when we die?" It is interesting to me that these questions are approached by humans in two apparently opposed ways: Through science and through faith. Faith, by definition, does not require a formula or visual proof. I am fascinated by both ideas and am frequently saddened by the rancor on both sides. Sometimes even violent conflict. Ask Galileo about that. Don't we, as a species, have room for both? Can't we have science and faith? To each his own path of discovery. To each his own form of faith. Last week I sat in my garden and noticed something amazing. Spring blew a warm kiss over the high desert I call home and the season's bounty has begun. And as I walked around my yard I noticed a single poppy had poked her head out of the dry, rocky ground. A singular pleasure. A beautiful miracle. The life we are surrounded by every day is neither micro nor macro in nature. 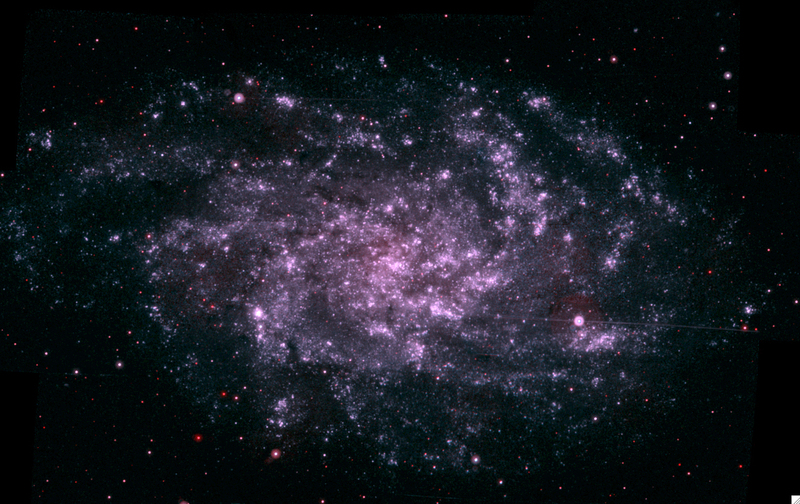 It is neither as large as a galaxy nor is it as small as a particle. 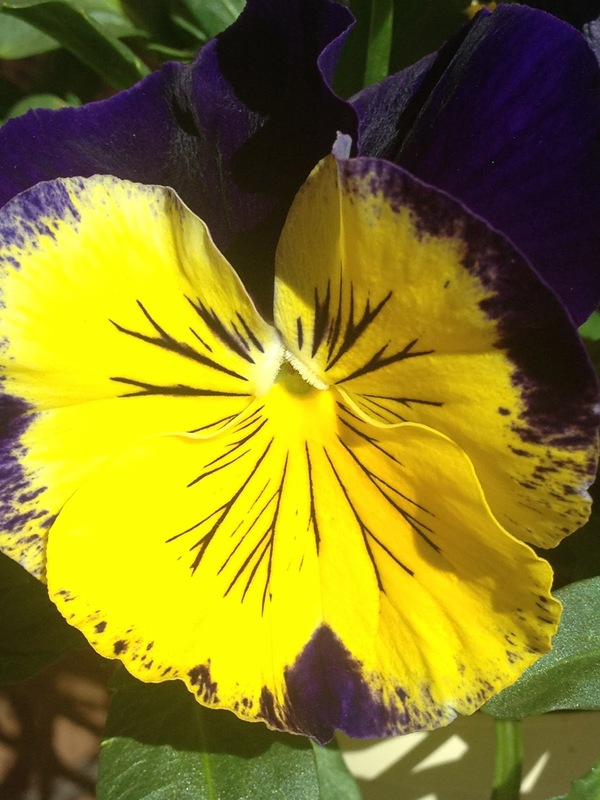 Yet within a single flower lives a universe of beauty to explore. You won't find heart or soul in the stars." And the mere existence of us - of these bags of water and bones that we call home - a lifetime of wonder to explore. Do you ask big questions from time to time? What inspires you? Do you seek answers "out there" or within? Have you ever had a moment when it all seemed clear to you?